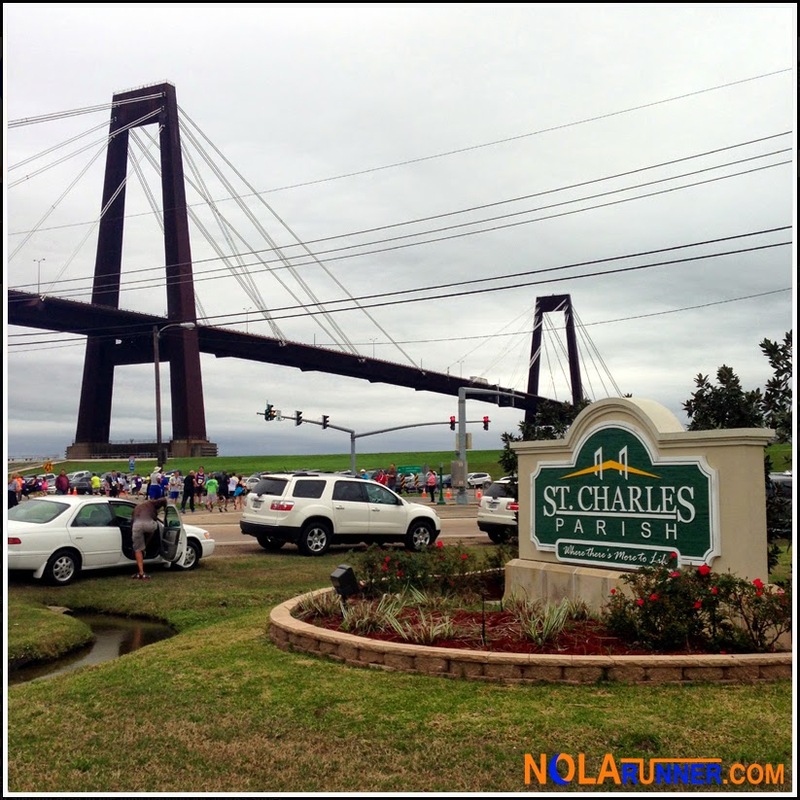 The 2014 edition of the Louisiana Bridge Run Series kicked off Saturday morning with The United Way of St. Charles Bridge Run. The bridge in question is the Hale Boggs Memorial Bridge, which spans the Mississippi River, joining Luling and Destrehan, Louisiana. For the second year in a row, both a 5K and 10K option were offered to participants, and a couple thousand local runners were ready to take on the steep incline. Last year, I ran this race solo, however this year I was accompanied by Kevin and Jenna. All three of us signed up to complete the 10K as our final tune-up race before the Crescent City Classic 10K. We met on race morning to carpool to the race site, which was actually the finish line on the West Bank of the river. After grabbing our numbers, we boarded big yellow school busses to head back across the bridge to the start. Since we were each doing the 10K, we could board the same bus that passed the 5K gathering area and continued along the winding river road to the 10K start. The 10K starting line was on the levee path across from local restaurant The Seafood Pot. Two portable restrooms were set up in the eatery’s parking lot along with one table for a jug of water. Lines for the restroom were long, and a race organizer made an announcement that the race would start on time at 8:15am. I decided to forgo any last minute pit-stops to make sure I started with the remainder of the field. Little did I know that they would in fact hold up the race several minutes to allow everyone to get to the starting line. At roughly 8:20am the 10K starting gun fired, sending us on our way to the bridge. The 10K race course follows the Mississippi River downstream toward the bridge, and covers a smooth asphalt path on the precipice of the levee. During this segment, 10K runners can take in views to their right of the Mighty Mississippi and the boats shipping their haul to port. On the left are several plantations, including Destrehan Plantation and Ormond Plantation. Just past the second mile marker, 10K participants pass the swarm of 5K participants lining up to start their race. The 10K course continues about a half mile past this point and turns around, heading back to merge with the 5K for the second half of the race. I made great time in the first 5K on the smooth, flat asphalt path of the levee. However, once I got back to the place where the 5K participants started, they had been released and I had to weave through the back of their pack to get on the bridge. It is a steep on-ramp incline at the 10K’s fourth mile, and the gauntlet encountered made my pace slow drastically. Once on the bridge, I was able to level out and continue on at a comfortable speed. The panoramic views from the top of the bridge were breathtaking, and while the clouds had been threatening rain all morning, they made for a great backdrop for the waterway below. I made up a good amount of time after cresting the top of the bridge, opening my gait and speeding up my pace significantly. Reaching ground level doesn’t mean runners are in the clear; however, as there is one last overpass for runners to overcome before taking a hard left turn in to the finish. The race concluded back under the bridge where my morning started at precisely the spot where we caught the bus an hour and a half prior. Each runner was presented with a medal for completing the race, and welcomed to a post-race party steps away. Before rejoining Kevin and Jenna at the post race festivities, I took some photos of fellow participants and the great view of the bridge we had just conquered. 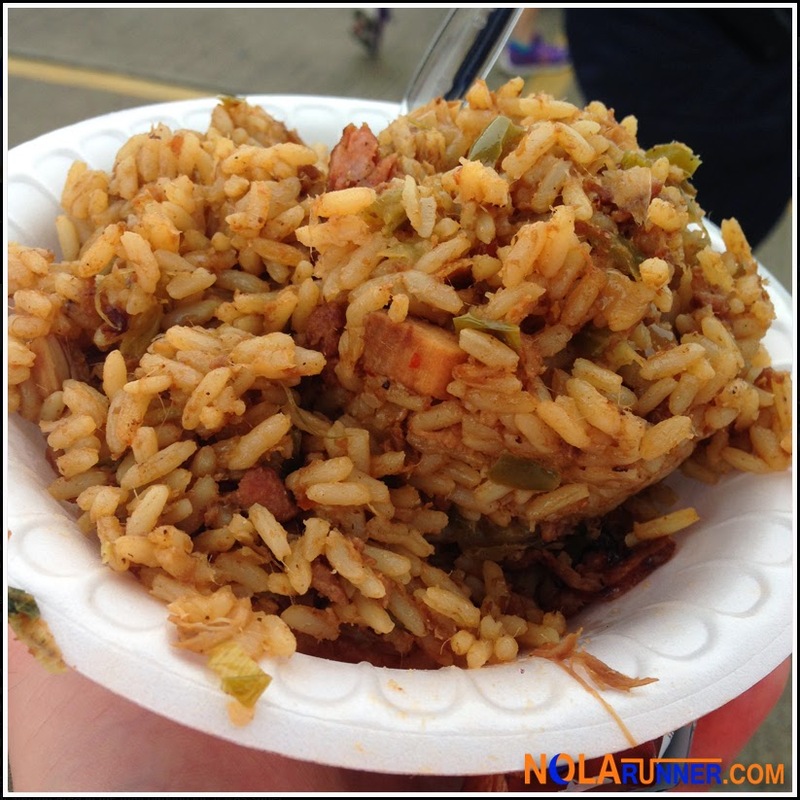 After a quick tour of the vendors and sponsors on site and a big serving of some delicious jambalaya, we headed to the car. On the way out, I noticed how many teams were participating in the event and were sporting shirts made specifically for their group. The race was a great community event for St. Charles Parish, and it’s fun to see how its growing every year. My two concerns are repeat issues from the 2013 race (read that recap HERE). The 10K started late again this year, although this installment was only tardy by a few minutes. Drastic improvement was made on that front, as many of the logistical issues that arise from having two starting lines were worked out. Secondly, the 10K runners have to merge with the throngs of 5K participants, and that causes some issues for those of us who are trying to keep an even pace. I love how community oriented the event is and how many participants of all skill levels there are (runners to walkers), but starting the 10K at 8am and keeping the 5K at 8:40am would allow the events to coexist much easier. 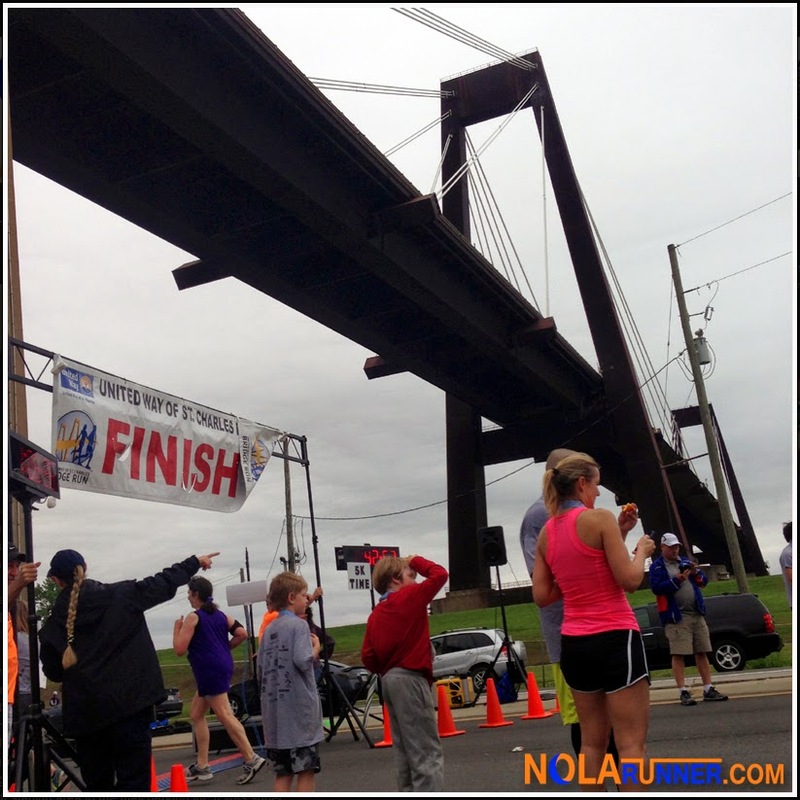 The Louisiana Bridge Run Series set a high standard right out the gate with the United Way of St. Charles Bridge Run. The event was well executed and a lot of fun, not to mention I was really pleased with my time. With the next two events in the series happening over the next two months, participants are ready to knock down those miles to earn that extra medal. 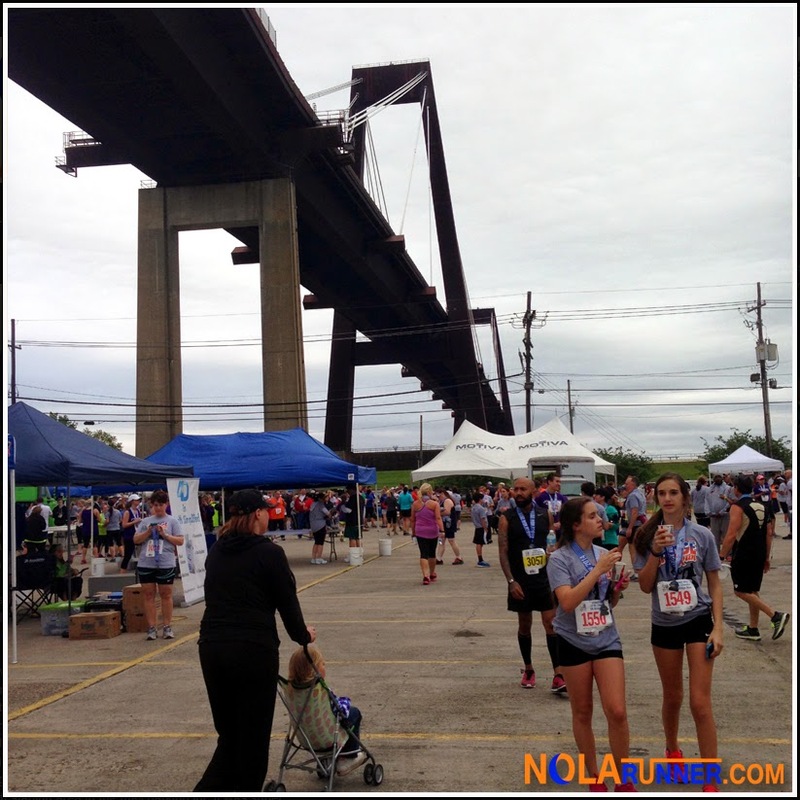 The other two races to look forward to in the series are The Great Huey P. Long Bridge Run on May 3rd and the Crescent Connection Bridge Run on June 7th. Check out the links for more info on each race. For official results from this race, click HERE. To see more photos from the United Way of St. Charles Bridge Run, LIKE the NOLArunner Facebook page HERE.